It’s the start of a new anime season, which means all the main streaming sites are busy announcing all their wares. Personally, I’m looking forward to the second half of Mushishi: Season 2, but my online anime viewing is shrinking now. I barely have enough time to watch a couple of new shows a season, after all, I need all that extra time to review all this anime that we get in the UK now on wonderful Blu-ray and pleasant DVD. 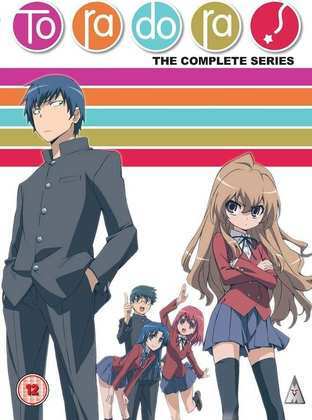 Speaking of which, the first anime review last week was Toradora! : The Complete Collection. This could just be the best romantic comedy anime ever created. Certainly I haven’t seen anything that matches it. It’s got the usual clichéd anime set up, a guy with such ominous eyes that he can never get a date, no matter how mild-mannered he really is, and a girl who might look adorable, but has the personality of a tiger. They’ve got crushes on each other’s best friends, so they make a deal to help each other in their respective romances. It could so easily be a clichéd, fan service anime, but Toradora’s depth of writing and character development is unlike anything you normally get in anime. With a show that good, you’d expect anything else to pale into insignificance, but Gargantia on the Verdurous Planet: Complete Series manages to hold its own. It’s the third strong sci-fi anime that we’ve had in quick succession this summer, and it’s the third one to really stand out as an exceptional series, despite it being the most derivative of the lot. It’s a cross between a space opera and Waterworld, certainly you’ll be pointing out bits that remind you of shows and movies you have seen elsewhere, and of the three, it’s the one which most strongly follows the usual anime conventions. But the story is strong, and it’s well paced and most importantly, entertaining. 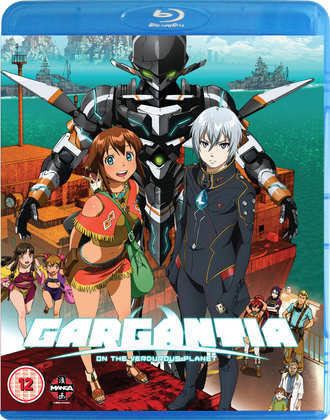 Click on the review to read more about Gargantia on the Verdurous Planet. MVM released Toradora! The Complete Collection on DVD and Blu-ray last Monday, as did Manga Entertainment with Gargantia on the Verdurous Planet: Complete Series, DVD and Blu-ray.